So many horror flicks are released every year. 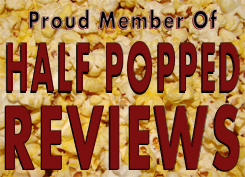 Heck, so many horror flicks are released every week, but most go utterly unnoticed. There are those select few, as you know, that make their rounds. Either through advertisement hype or word-of-mouth, people will know the title of the film, if they themselves haven’t seen it. Why? Numerous reasons, but mostly because the general population like the film and view it as actually scary for once. As an audience, we challenge ourselves to see the biggest and the best, so why wouldn’t we test the ability of a film to scare its audience? Insidious was written by Leigh Whannell, the same guy that wrote Saw, produced by Oren Peli, the guy that made Paranormal Activity, and it was directed by James Wan, who worked on both The Saw Collection as well as newer film, The Conjuring. Do these “masters of horror” work well together for this film? I guess it depends on who you are, but generally speaking…people say yes. After Dalton Lambert (Ty Simpkins) slips into an unreachable coma, his parents begin to notice strange occurrences in the night that can only point to ghosts. His father, Josh (Patrick Wilson) and mother Renai (Rose Byrne) suspect that the house is haunted, and they call in some investigators to…well…investigate. Well, these ghostbusters deem the place haunted and call in the big guns, a psychic by the name of Elise (Lin Shaye) that has a history with these types of things. She figures that the house itself isn’t haunted, but Dalton is, because his body is a hallow vessel, and malevolent creatures sense that…wanting to take over his body. She claims he has astral projected out into “The Further” and the only way to get him back and stop all the madness…is to climb in there after him. Some compare Insidious to Paranormal Activity, and to a degree…I can understand why. Haunted house, but not really, instead haunted person, nasty demon terrorizing stuff…I get it. However, that’s a pretty generic comparison, and I’m sure a lot of other films match that as well…so instead, I’ll simply say…don’t compare these two, they are different in too many regards. 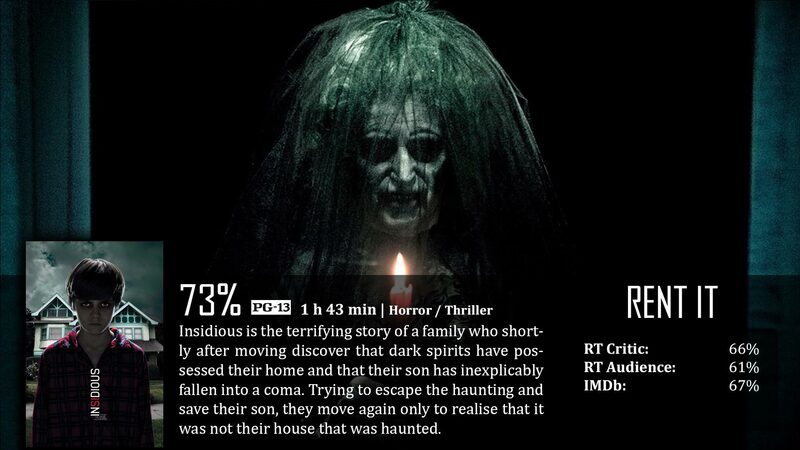 Instead, we’ll look at Insidious as its own standalone project. First of all, is it scary? That’s a difficult question, because scary means different things to different people. For me, I wasn’t scared in the least bit, but I understand why others would be. I personally hate scary movies that show you what to be afraid of, because the brain is a powerful machine that can make a creature as scary as your mind will allow – all on its own. However, some people do like to see what they are supposed to be fearing, so the same image can pop up in a nightmare later on. I get that as well. It comes down to presentation and suspense. This film was presented…decently. It knew what it was going for, and even though I disagree on if that was a good idea or not, they made best with the tone they were going for. It’s dark, it’s twisted, it’s desaturated a bit, so it’s grungy…and it had some good ideas for visuals no doubt. The creatures…I’m sorry about this, but I did laugh. For some, it may strike you as terrifying, others would say creepy, but I was either rolling my eyes or laughing. I fully understand creepy, because if you’re in the right mood, it can be very creepy. I watched this after midnight with all of the lights down and I just wasn’t getting into it, and I think that was because of the foundation. It just wanted to show you, show you, and show you some more. It’s just not my thing. I love films that make you think and create your own villain, not this. The one thing I really enjoyed about this movie is that they introduced the idea of astral projection for a big Hollywood production. This is something that for some reason or other, hasn’t really been used for any movie, and it’s a fantastic supernatural theory. There are a lot of different ways you can go about doing it in a film, and they did…decently in Insidious. I would have liked more focus on it in a first-person experience, more than just the end, but as it is…I’m glad they did it. Overall, Insidious has the exoskeleton of a good, scary film, but they just overreached their bounds in my books. They showed you one too many demons, one too many times, and that ruined the suspense. The unknown…it gives the villain in a horror film power. Showing them to the audience ruins that power. However, the film still looked great, maintained tone, had good acting, and a good idea when it came to astral projection. Decent flick.